I confess. I peeled the stickers off my Rubik's cube when I was a child. Needless to say, I never successfully matched all six faces of a Rubik’s cube in my life . . . until one memorable day when I attended the Creativity and Education Innovation Fair at the 92Y in New York City. A sixth-year teacher at an East Harlem high school, I was at the fair because I was urgently seeking inspiration to combat my algebra students' overwhelming resistance to math. I was intrigued by a colorful booklet at a booth that boldly proclaimed, "You Can Do the Cube." The presenter somewhat cryptically declared, "The key step is making a white cross." Making a white cross sounds profound but really is quite simple. One can solve the Rubik's Cube by following sets of algorithms, or rules. It took me about two hours as I deciphered the symbols and illustrations in the booklet and painstakingly executed each algorithm. Difficult at first, but I eventually bestowed trust in the algorithms. Finally -- sweet, sweet success! Solving the Rubik’s Cube was demystified. Wanting to share that feeling of euphoria, I presented my principal with the idea of using the Rubik's Cube to create an interdisciplinary curriculum. He encouraged me to introduce the cube in my Algebra class. Accordingly, I applied to www.youcandothecube.com to borrow 36 cubes for educational use. The opening of the lesson was a customary Do Now, solving problems using the Order of Operations (a.k.a. PEMDAS). 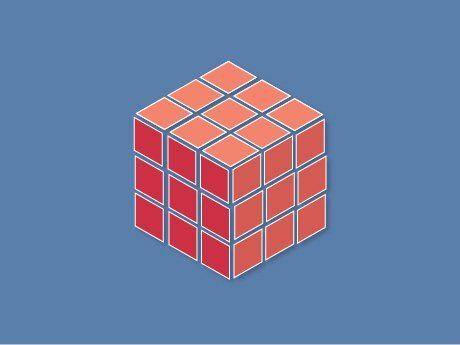 I connected the Order of Operations to solving the Rubik's Cube by explaining that both involve algorithms, which are integral to math, computer science, and other real-world applications. The students were divided into groups of threes and fours. Each student received full-colored directions. After demonstrating the steps concurrently with my cube and on the SMART Board, I simply facilitated. Engagement was absolute -- students taught each other, appreciated that algorithms have real-world applications, and simply had fun learning. A trio of cube-riveted students decided to share the Rubik's Cube with the rest of the school by starting a club and school-wide competition. We envisioned the club and competition to be student-run, with me as the advisor providing guidance as needed. The trio created posters, set the agenda, and designed the invitation to the competition. They also tutored other students on how to solve the cube. The trio demonstrated astounding effort and commitment to creating interest in the competition among the student body. This is the first real student initiative at the school. The students took one small idea and developed it into an extraordinary competition. I am impressed by the momentum that it has gained the last three weeks. One thing that stood out is this young man, Steven, who for most of the year was a truant and yet is here to help organize the event. Congratulations to the Rubik’s Cube Club. During the competition round that required the competitors to solve three Rubik's Cubes correctly, the audience murmured words of encouragement to the fourth place competitor as he valiantly completed his cubes even after the third place winner was declared. All of the competitors were champions. None of them knew how to solve a cube before they learned the algorithms. None of them had ever competed in front of an audience. The students who several weeks before thought that only geeks could solve the Rubik's Cube applauded in overwhelming respect for all of the competitors. Who could have predicted that a blast from the past would excite students in one of New York City's inner-city high schools? The tentative introduction of the Rubik's Cube in a math class was a success. The First Annual Rubik's Cube Competition was a success. The first club -- more importantly, the first student-run club -- was a success. My principal definitely supports integrating the Rubik's Cube into an interdisciplinary curriculum. 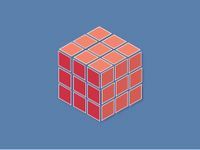 In math, students can use the cube to determine the formulas for area, perimeter, volume, and surface area. In art, students can use what they learned in math to create mosaics of historical figures. In history and English, students can research and write about those historical figures. The possibilities are exhilarating. Have you ever introduced your students to a tool or method that blossomed beyond all expectation? Please tell us about it.